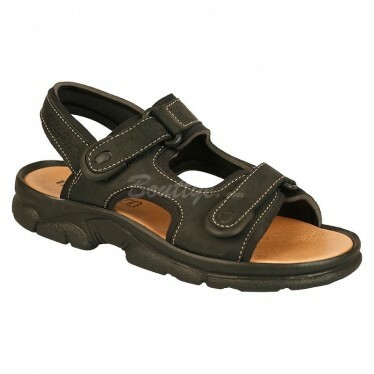 Woman leather wedged sandals, with Velcro closure and cushioned insole. Woman leather bio sandals, with anatomical cork sole lined with leather. 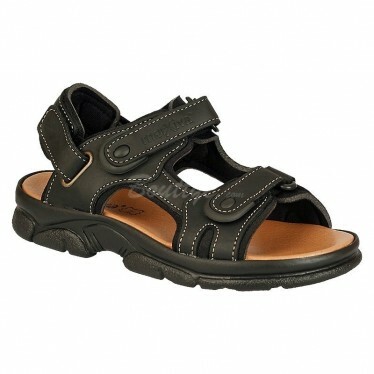 Woman leather bio sandals, with anatomical insole and velcro closure. 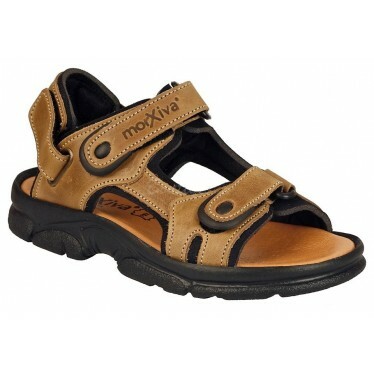 Morxiva is a Spanish brand of footwear located in Elche, in the province of Alicante, known mainly for its excellent manufacture of leather sandals. It is also known as Morxiva Shoes. 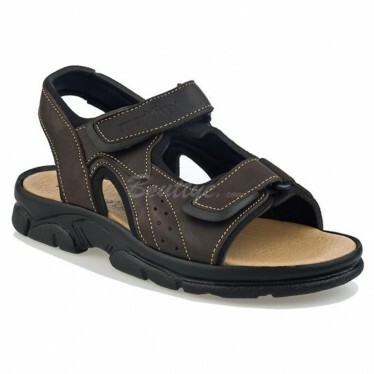 Its main products are sandals made of leather, in its series of men (gentlemen) and women (ladies). They stand out for offering a product of high quality, made 100% in natural leather and made in Spain, with a really great quality-price ratio. 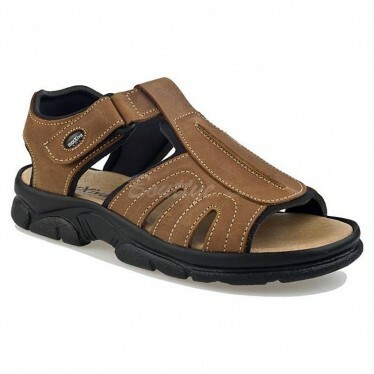 Possibly they are the best sandals that you can buy within their range of quality / price. If you are looking for the Morxiva factory, you may not find this information anywhere on the internet, as they only serve professionals, wholesalers and stores. 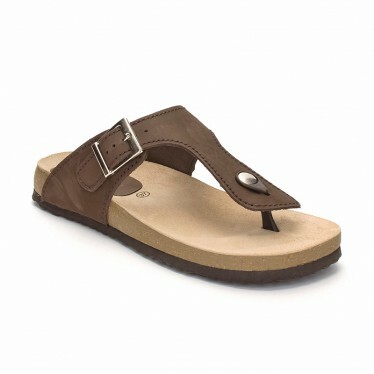 This Brand Californian style sandals are probable the est known and most widespread. 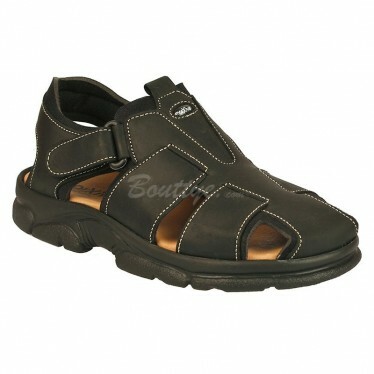 They are characterized because of their finishing quality and mostly for being very comfortable. It is a type of open, comfortable and all-terrain footwear, suitable for virtually any use: From daily street use in summer season, to walks in the countryside or even the practice of trekking or light hiking. They are not suitable, however, for the practice of water sports, since it is not a waterproof synthetic footwear: The leather hardens and deteriorates when wet. On a sole or polyurethane floor of about 2.5 cm. thick and with a non-slip pattern on the bottom, a leather insole padded with foam or foam rubber is mounted. From here, different strips of leather or quality natural leather, of a considerable thickness of about 2 millimetres, are assembled, which in terms of footwear manufacturing of this type translates into a very good quality. These strips are covered on their inner side with other pieces of foam rubber coated textile itself, which are sewn to the leather with very sturdy thread tips. 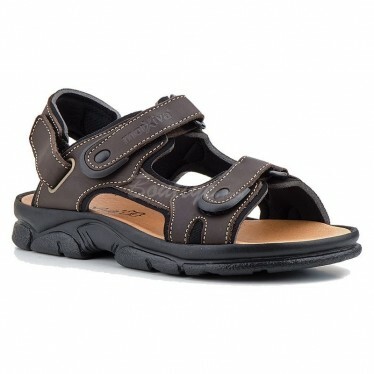 This special coating is partly what makes these sandals so comfortable, since it prevents one of the main problems of summer footwear: Skin chaffing due to friction. The particular finish of these sandals makes them especially suitable for elderly people, people with circulatory problems, swollen feet, or even diabetic patients, since these users are more prone to suffer injuries and chafing on the skin due to shoes usage or inappropriate shoes. Additionally this anti-friction sponge and textile coating facilitates perspiration and prevents excessive sweating of the feet by avoiding direct contact of the skin of the foot with the leather of the footwear. All these pieces once assembled, give shape to the sandals. 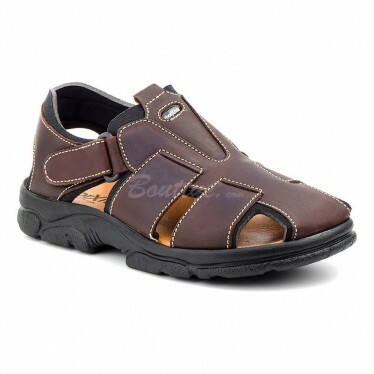 The closure is through rings and Velcro strips, which makes them even more comfortable and easy to adjust to each foot. In addition, the front adjustment strips on the instep have at their end some decorative pieces of flexible plastic that improve their appearance and their finish, and facilitate the grip of said strips during the adjustment of the footwear. 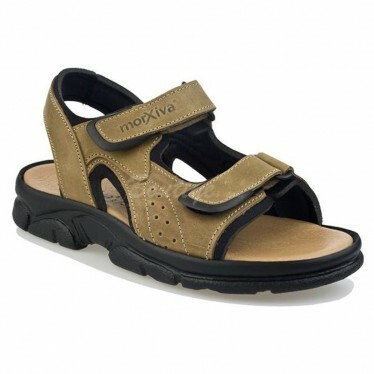 Within the range of Californian Sandals by Morxiva, there are different models more or less covered, and also with different types of adjustment according to the user's needs, having sandal models very open, with few pieces of leather, fresher and aired in both the sides as in the toe and in the heel part. Other models instead have the toe cap, side and heel plus covered by pieces of leather, offering more protection to the feet. Finally some models have fixed heel support strap, while for very little money, other models are offered with adjustable heel with Velcro straps, or even removable: It can be removed if we want to bring the heel completely loose and fit them only by sliding the foot inside, as if they were slippers. 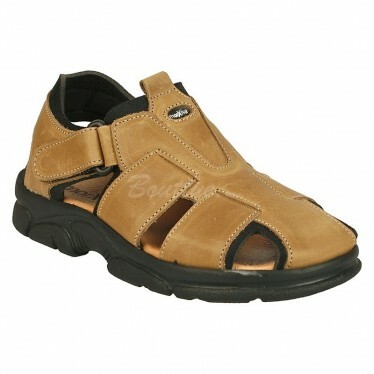 In short, a product of extreme quality, and in all probability, the most comfortable sandals you can have. 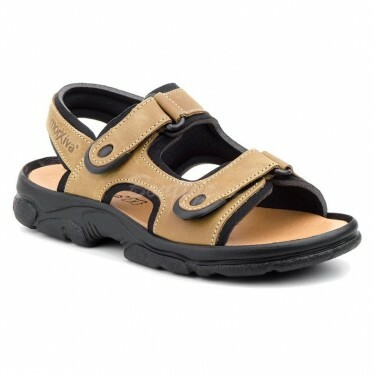 The so-called bio sandals are a type of sandal that is characterized by having an anatomical sole. That is, the shape of the inner sole of the shoe in contact with the foot tries to imitate the shape of the foot sole, so it adapts as well as possible. This type of soles is usually made in cork. The bio sandals bio by Morxiva are made assembling the anatomical cork floor on a polyurethane sole with anti-slip pattern on the bottom. The plant is covered with a leather insole, which greatly improves the contact feeling with the shoe and helps with perspiration. The upper or cut is composed of one or more pieces of leather, according to the model, which can be crossed or entangled with or without thread stitches, and with different types of clamping strips: There are slave type or flip-flop models, which are hold in place with a strip passing between the thumb and forefinger of the feet, and models that are held only on the instep of the shoe, swimmer-sandals like. Some of the latter have adjustment by straps and buckles, while others are fixedly mounted (without adjustment). 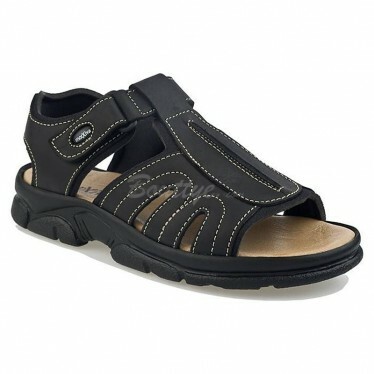 It is definitely a type of sandal much more open and casual, very comfortable to put on and take off. 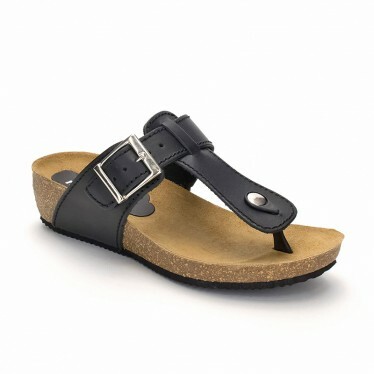 In the last seasons this brand has manufactured some variations of its classic sandals, like shovel sandals mounted on the same floors and insoles as the Californian sandals, which offer more comfort for casual use and short walks. They have also made some models with a little more youthful style for street walks, following more current and colourful design trends. 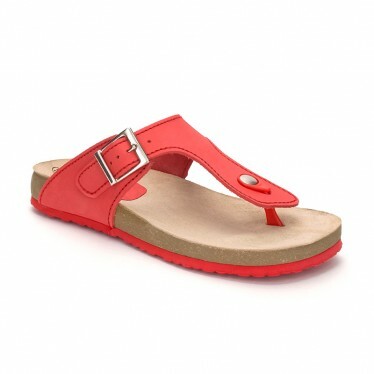 They are models of Californian sandal exactly like those in men collection, but with more cheerful and feminine colours. Like the men's bio sandals, the women's sandals are sandals made with an anatomical plant that mimics the shape of the sole to achieve greater comfort and rest. Morxiva manufactures them by mounting an anatomical cork floor on a polyurethane sole, a few millimetres thick, also with an anti-slip pattern on the bottom, to then mount the upper of leather strips on this floor. The upper part of the cork floor is also lined with a leather insole, usually made of ‘flower leather’ (the inner side of the leather), to make them more pleasant to the touch and improve breathability. In the women bio models it can be used, according to the model, flat floors, with platform or wedges. In summary, they are very similar to men's sandals, but with the differences in style of women's shoes, that is, with more ornament and more colourful dresses, with more colours and sometimes with a little height on the floor or in the heel part, through the use of platforms or wedges. 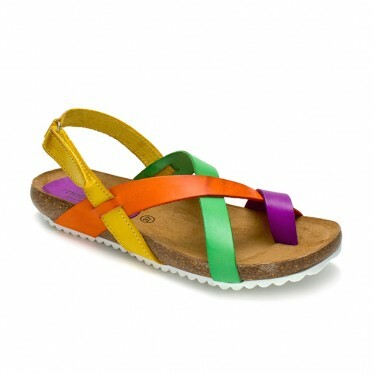 Within this type of women's sandals we include all those models manufactured with special emphasis on comfort and prolonged use. The fabrications are similar to those described above, but the insoles are usually quilted, placing a layer of gel or foam between the floor and the leather insole, and normally all the floors are wedged, since the more height in the heel part makes them more comfortable to wear for prolonged periods, especially to people with flat feet. During the last seasons the brand has introduced some models inspired by the popularly known as "swimmer's sandals" or "swimmer's shoes". These consist of a single piece of leather of more or less rectangular shape, covering the upper part of the instep, on a rubber or polyurethane floor, which has traditionally been used "to go to the pool". In their origin they were traditionally with the floor of blue colour and a white shovel crossed by two tapes of vivo (narrow strips of leather), sewn in parallel on the shovel. Following this design, Morxiva has launched some models with patterned or printed leathers in bright colours, metallic, or with really colourful floral designs. 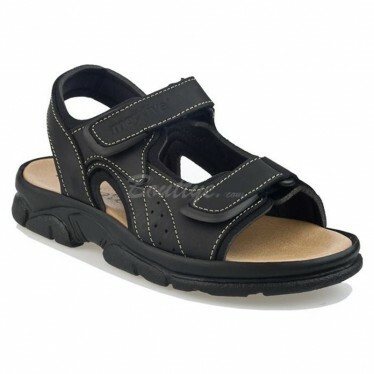 This manufacturer also makes some other types of women's shoes less widespread within the brand, such as comfort shoes (comfortable women's shoes), and even some line of anatomical sandals. If you were looking for information about the Morxiva brand and its sandals, we hope that our explanation has been useful. Now we tell you a little about us. We are a small family company, where we presume to know all our customers, and we give an unbeatable customer service, which has made us well known for this reason. We love dealing directly with our clients. We are a serious and trustworthy company: Bouttye is a brand of SEGARRA Y MARCHANTE, S.L. registered with the EU VAT NUMBER ES-B42510644 and with fiscal address at Street Palmerers 24, Floor 3, Door 5, 03203 Elche (Alicante), on 05/31/2017. Registered in the Mercantile Registry of Alicante, Entry 1098 of Diary 325, entry 1 of sheet A-155425, sheet 162, volume 4041, general section of Companies, dated June 1, 2017. Shipments and size changes are free within the territory of Spain and Portugal peninsular. We serve any other area and country worlwide, and we always try to provide a shipping service with the best possible quality-price ratio. You can pay by bank transfer, Paypal, or with your credit or debit card. Within Spain and Portugal, you can also pay cash on delivery. This includes shipments to the Canary Islands. We are audited regularly by CONFIANZA ONLINE, which guarantees that we respect 100% the rights of consumers. Through the form that is in the CONTACT section of our online store. You can find it at the bottom of the page, in the section ATTENTION TO THE CLIENT. Through Facebook Messenger on our Facebook page. 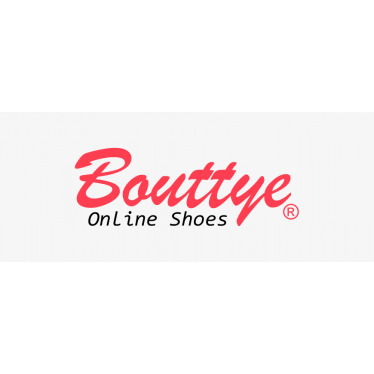 You can find the links to the social media profiles of Bouttye in the footer of our online store. We hope you have enjoyed our information about the MORXIVA SHOES brand, and that you feel confident to count on us for your shoes and footwear purchases from now on. Thank you very much for reading.